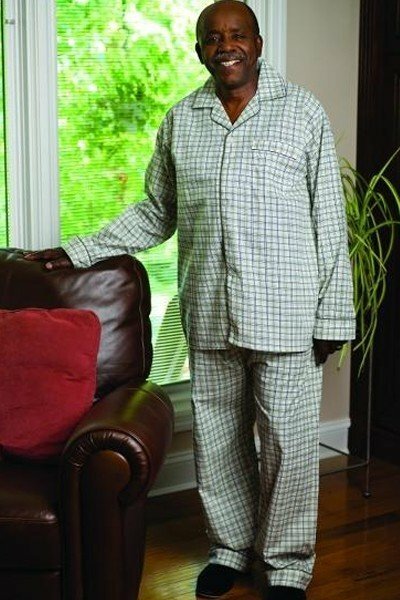 Perfect for lounging or sleeping.These traditional pajamas feature a long sleeve, easy to use button-front top with elastic-waist pants. Cotton/polyester blend. Assorted plaids and prints.